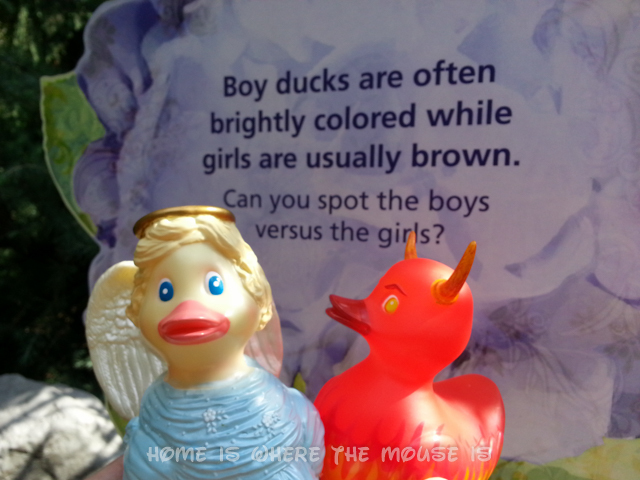 We received ducks from Rubba Ducks® in exchange for writing this review. Our opinions are our own, and no ducks were harmed in the making of this post. Move over Donald, there are some new ducks in the Disney neighborhood! 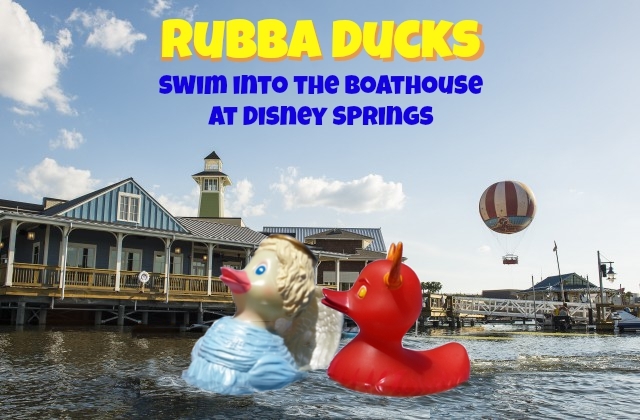 Rubba Ducks® have been spotted swimming around Walt Disney World Resort and have made a home for themselves at The Boathouse in Disney Springs. 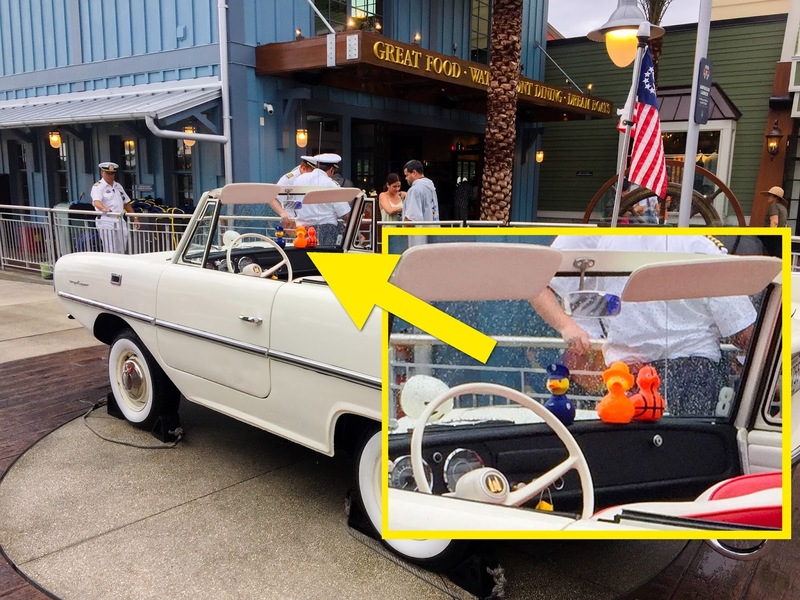 You may have noticed some of them hitching a ride on the new amphicars. Rubba Ducks® have teamed up with Disney in an exclusive deal that makes Rubba Ducks® the ONLY non-Disney toy item in the Boathouse gift shop. These new ducks with personality will be flying off the shelves! 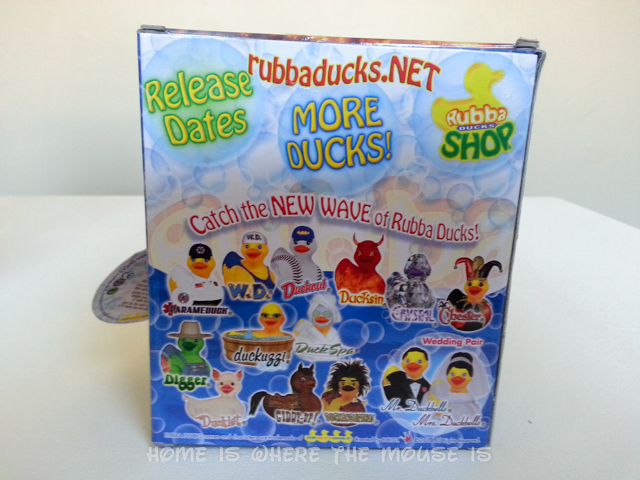 Founded in 1997, the Rubba Ducks® company was the first of its kind to bring character rubber ducks to life. Each duck is uniquely designed to communicate their individual personality and characters. While there are the traditional-themed ducks dressed as police, firemen, sports and animals, these ducks go a step further in incorporating specialized hobbies and interests like a train con’duck’tor, a marathon runner duck, a ‘groovee’ duck, and even a duck who loves a good cappuccino, among many, many others. 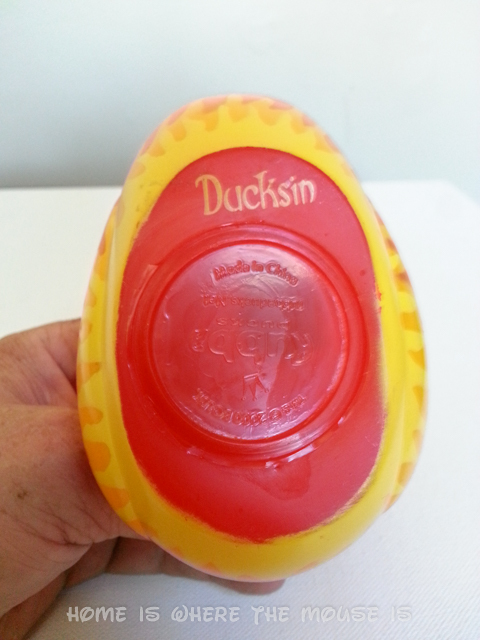 At this time, Rubba Ducks® do not portray any licensed Disney characters. 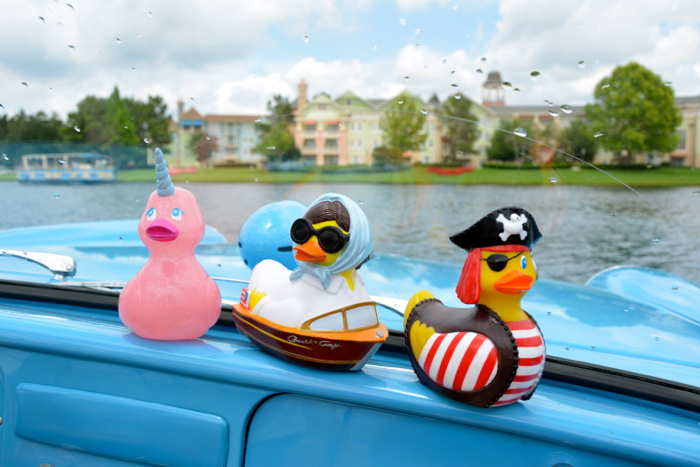 We’re not sure if they ever will, but could you imagine rubber duck versions of your favorite Disney characters?!! 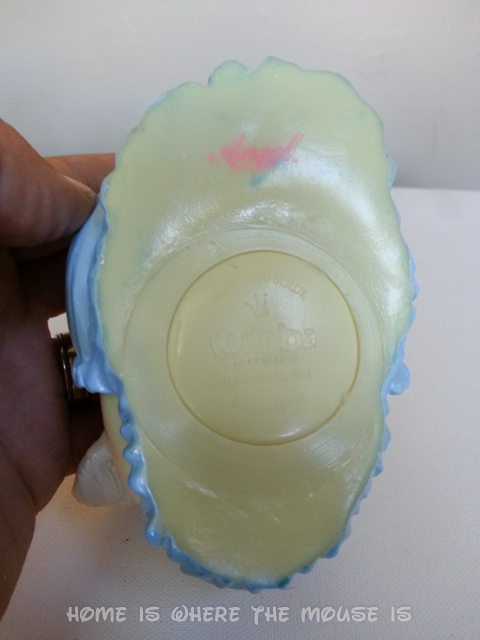 We were given a pair of Rubba Ducks® to play with try out. 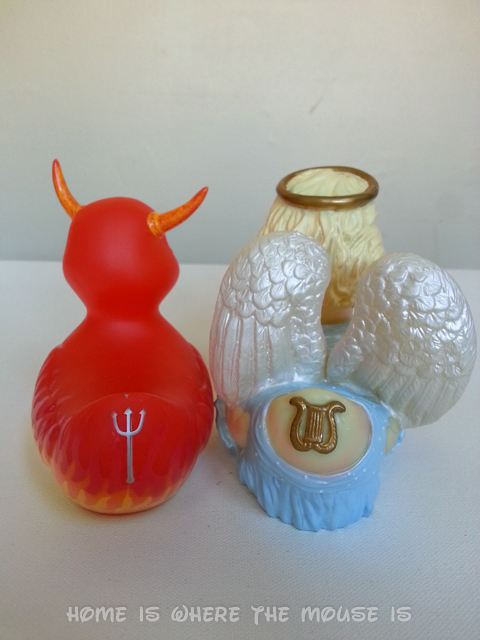 Our “Angel” and “Ducksin” ducks are definitely filled with personality. 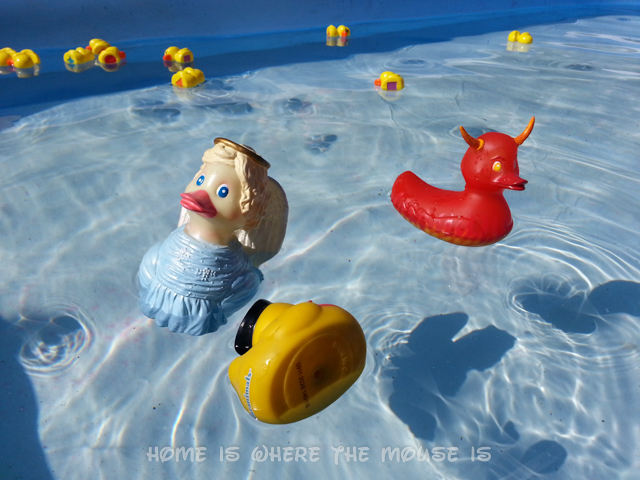 The first thing we noticed about them was how much larger they are than the typical rubber duck toys we have around the house. Reminiscent of Beanie Babies from the 1990s, Rubba Ducks® have a story to tell. 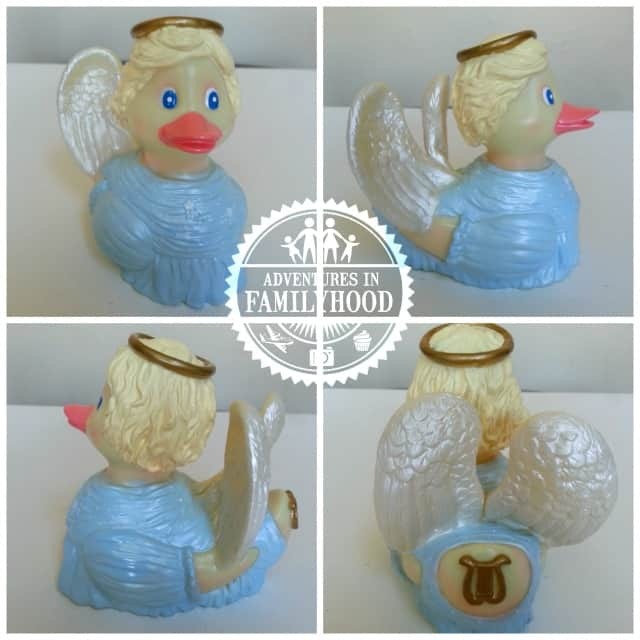 Each duck is adorned with amazing details, such as the “tattoo” on its tail feathers. Plus, their own hatch date and an engaging bio can be found on their trading cards. 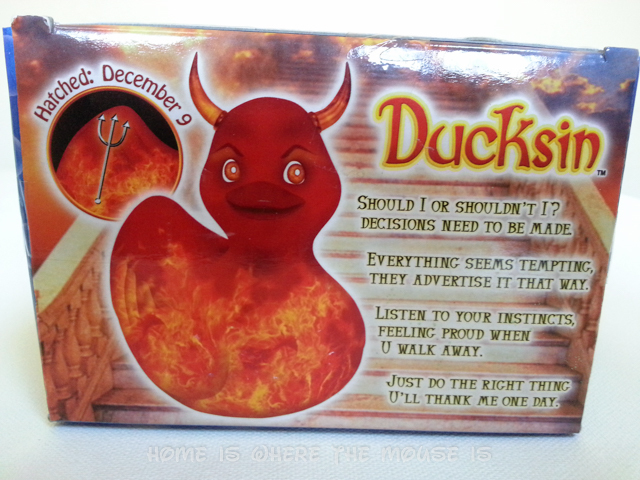 The poem that explains Ducksin’s story helps you understand that though this duck is a devil, that doesn’t mean he’s bad. Why are Rubba Ducks so great? There’s even more to love about Rubba Ducks®! 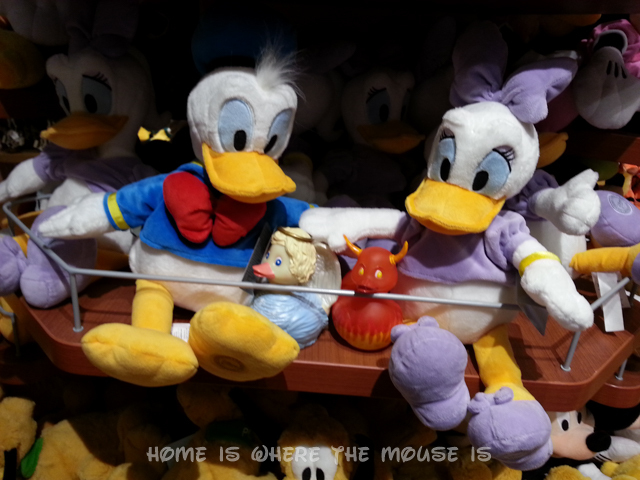 They have 3 quack-tastic features that set them apart from ordinary rubber ducks. It’s all in the details. These ducks are chock full of elements, from vibrant colors to ornate sculpturing to decorative costumes and designs. Angel is an exquisite Rubba Duck. The texture and detail of her hair, wings, and body is amazing! They Float Upright. All.The.Time. 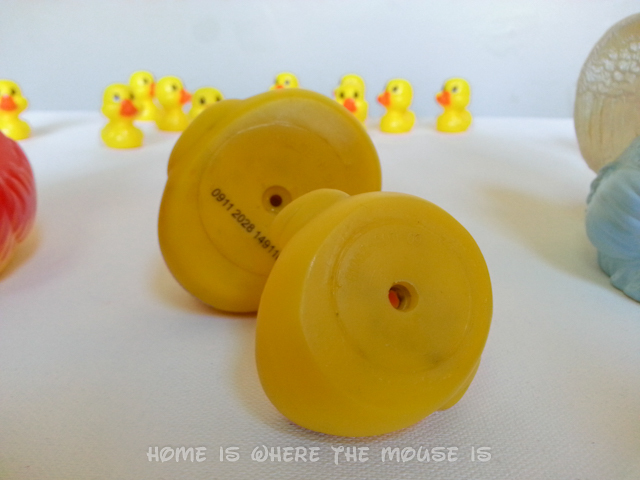 Rubba Ducks® are designed with weights at the bottom so they will always float upright! 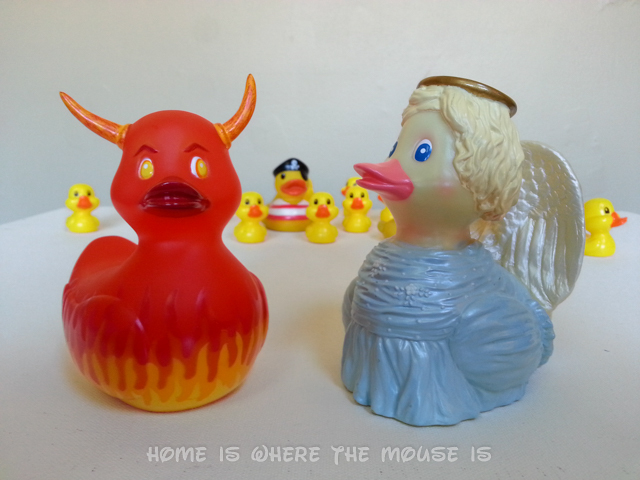 Most rubber ducks have a hole in the bottom which, when used in the bathtub can retain mold. Not Rubba Ducks®! There is no hole in the bottom so NO MOLD! While the hole in the bottom (or sometimes in the mouth) of other ducks can be a fun feature, the downside of not being able to clean them out means they are only fun for so long before you must consider throwing them away. 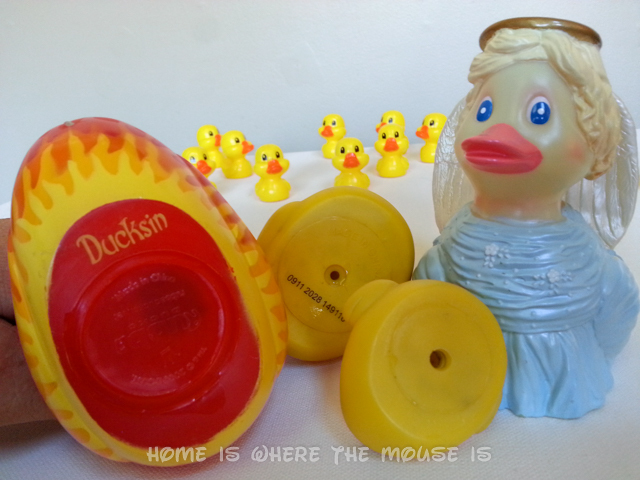 Where can I find Rubba Ducks®? 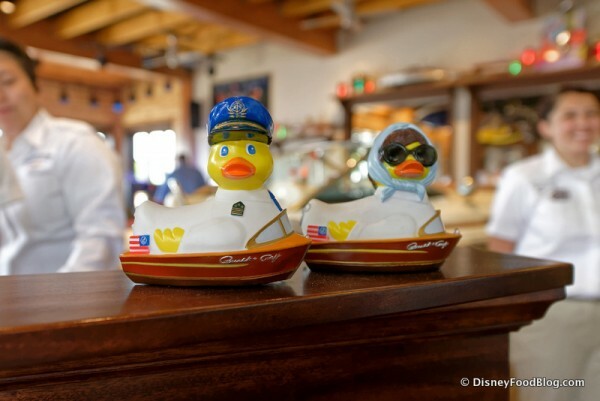 You can find Rubba Ducks® at The Boathouse Restaurant in Disney Springs, at Walt Disney World Resort. 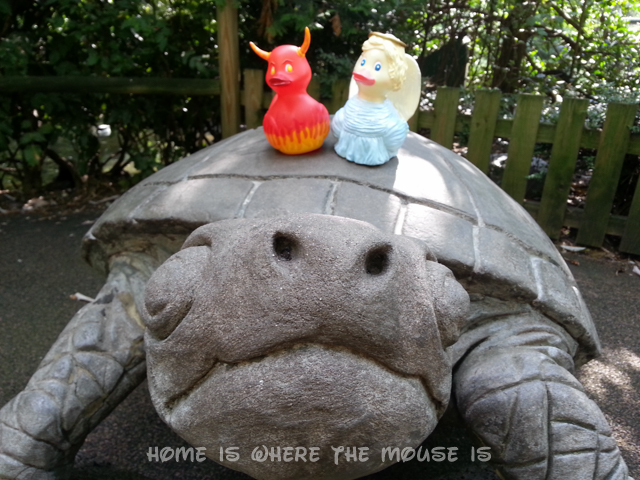 They’re not just merchandise, they’re part of the attraction! They can be found throughout the restaurant and on the dashboards of the amphicars! 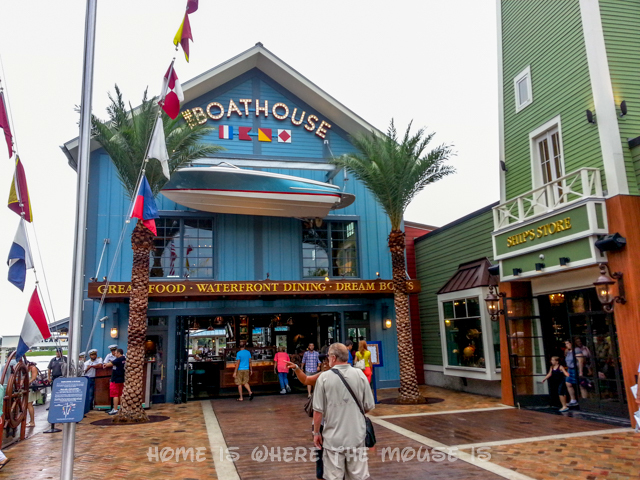 On our latest visit to Disney Springs, we didn’t get to fully experience The Boathouse, but you can check out Disney Food Blog’s review of the restaurant, as well as Mouse Steps’ review of the Amphicar tour! 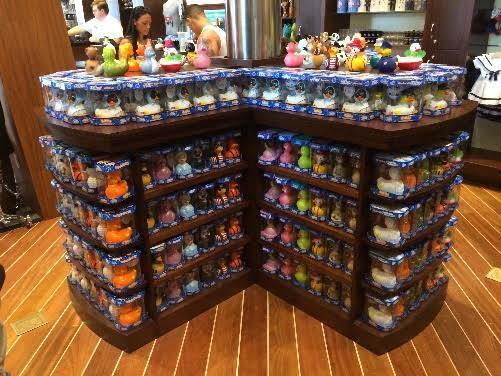 The Propel AmphiDuck (not pictured) is the third Rubba Duck to be sold exclusively at The Boathouse in Disney Springs. If you aren’t going to be at Walt Disney World in the near future, you can visit the Rubba Ducks® Store to purchase the non-exclusive Rubba Ducks online. What can you do with your Rubba Ducks®? You can buy them as gifts, as bathtime or water fun toys for the kids, or you can collect them! 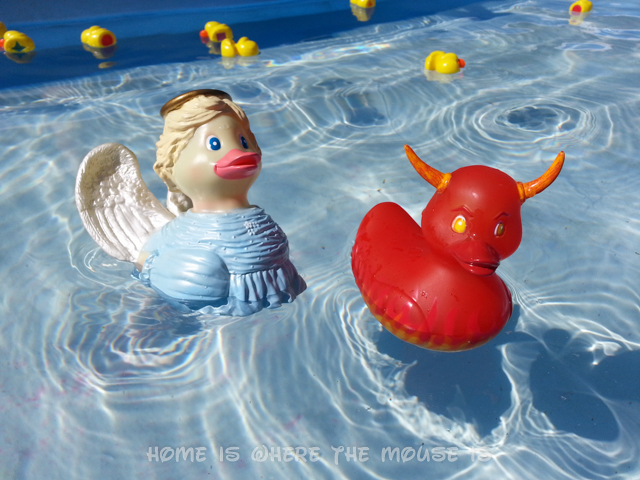 We had some fun with Angel and Ducksin, putting them to the test in our backyard with some homemade Rubber Duck racing! 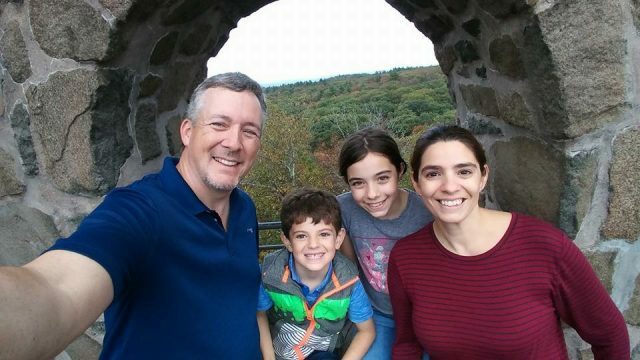 They also came along with us on our recent outing in New York City! 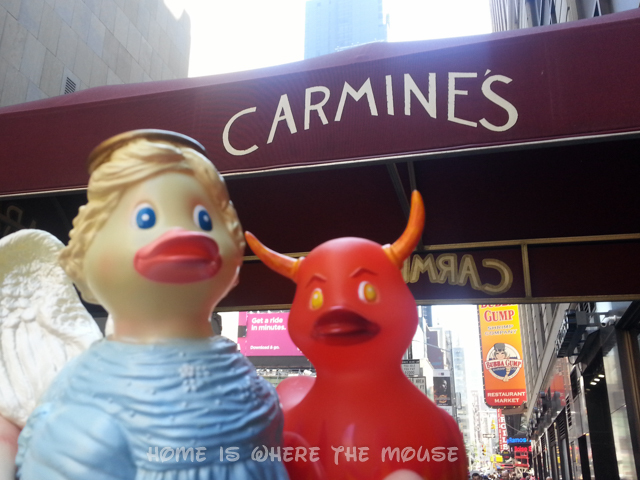 We had lunch at Carmine’s in Times Square! 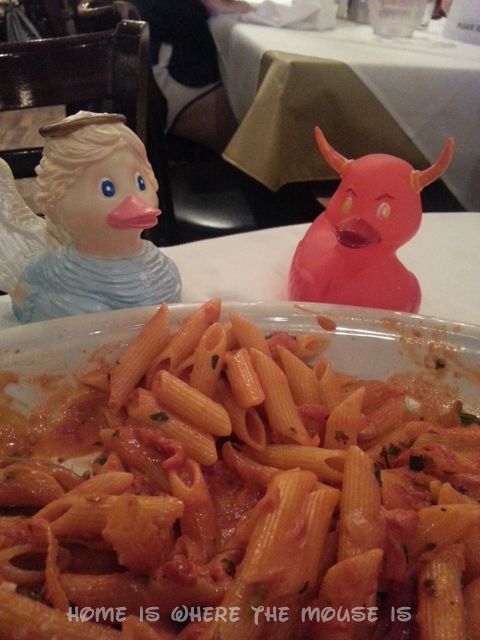 Do ducks eat Penne a la Vodka? 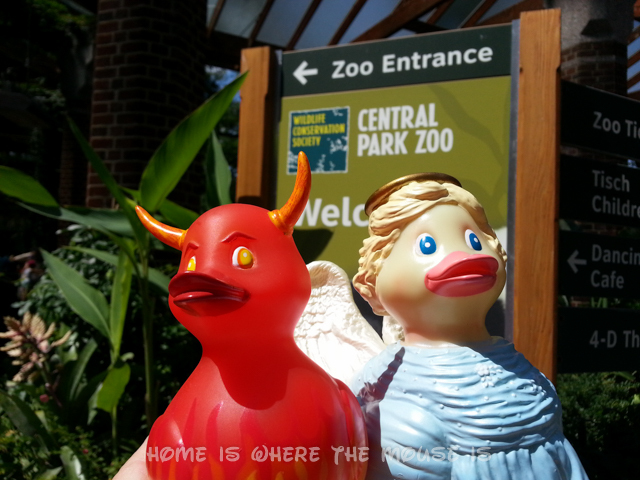 Of course, we had to visit the Central Park Zoo. Would the sea lions mind if our ducks joined them for a swim? Interesting duck facts that may not apply to Rubba Ducks. We know turtles are slow, but this was isn’t moving at all! 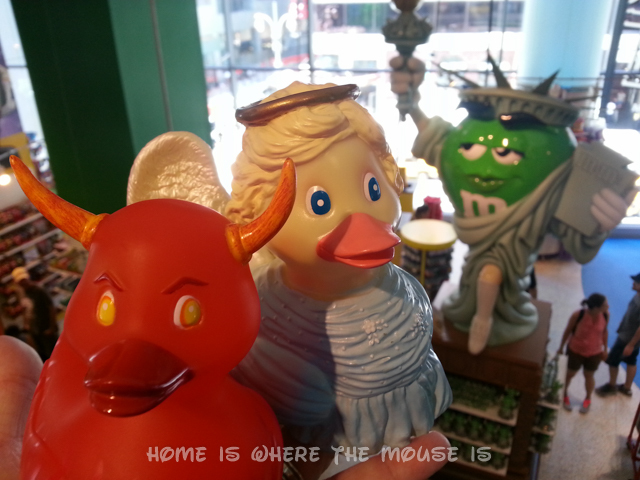 The last stop was the Disney Store to say hi to two of the most famous ducks of all! One thing is for sure, our kids aren’t going to let our Rubba Ducks just sit on a shelf to be displayed. These ducks are going to get a lot of love! They are made to handle it too! Patch is my favorite! I love anything pirate-related, but a pirate duck? Awesome! I love that I could get Mummy for Halloween and Mr and Mrs Settler for Thanksgiving! My daughter would like Duckhorn. She is obsessed with unicorns.